Located in the fast growing area of north Boulder, this Gunbarrel apartment community offers plenty to do, with open space trails, bike paths and spectacular views. 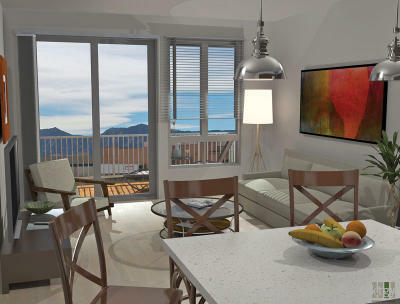 Boulder View Apartments offers 68 brand new apartments in Gunbarrel with high end finishes, a comfortable feel, and breathtaking views. Each unit offers an adaptable storage system for bikes and outdoor equipment. Just off the Lobo Trail and bus line, we are easy access from anywhere in Boulder County. The community amenity deck includes a hot and cold tub, 2 fire pits and an outdoor kitchen. Major nearby Gunbarrel area Companies and Employers Include : IBM, Crispin Porter + Bogusky, Covidien, Qualcomm, GE, Crocs, and Celestial Seasonings. For employees relocating to work in the Gunbarrel Boulder area we have both unfurnished apartments as well as corporate apartments, and furnished apartments available on a short term or long term basis. From month to month leases to one year lease terms available, rates and amenities may vary based upon the lease term selected. Our relocation services for the Gunbarrel areas include area tours, school tours, destination services, referrals for household goods moving and storage, rental locating, and real estate agents- our realtors have years of experience with corporate relocations and employee relocation. For more information including the latest leasing information contact Housing Helpers at 303.545.6000, complete the quick contact form on this page, or click to schedule a showing! This entry was posted in Gunbarrel Apartments For Rent and tagged Gunbarrell Apartments on June 20, 2014 by John Iannone.